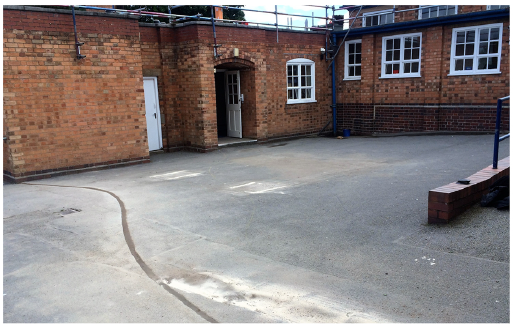 To rejuvenate a previously dull and uninviting play area and to address the high number of trips and falls in the area. The client requirement a cost effective solution as the budget was limited. Fully designed and installed by Great Out Floors. 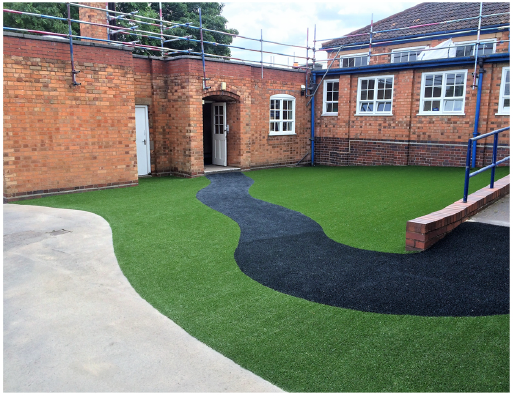 Artificial Grass was laid over the existing tarmac.The tarmac was chased out to enable the grass to be folded and glued to provide a level join to avoid a trip hazard.